Costa Rican President Luis Guillermo Solis after his election win, San Jose, Costa Rica, April 6, 2014 (AP Photo by Moises Castillo). 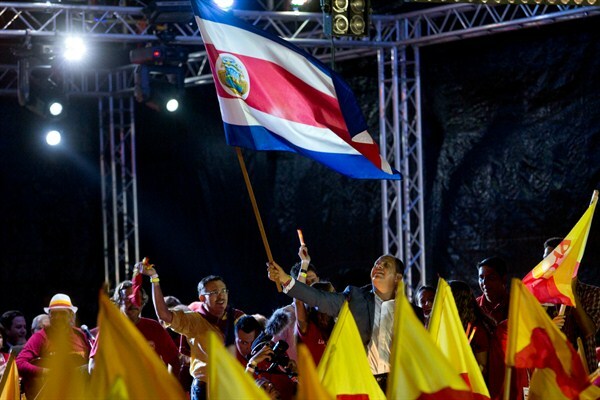 For years, Costa Rica has been a Latin American success story. The country’s democratic institutions and attention to good governance have enabled its resource-poor economy to thrive in a dangerous part of the world. The country overachieves on various measures of prosperity, with its ranking on indices such as economic quality, business environment, governance, education, health, personal freedom, social capital and the natural environment above the norm for countries at a similar level of development and wealth—and often considerably so.